The excellent energy storage performance of covalent sulfur-carbon material has gradually attracted great interest. However, in the electrochemical sodium storage process, the bond evolution mechanism remains an elusive topic. Herein, we develop a one-step annealing strategy to achieve a high covalent sulfur-carbon bridged hybrid (HCSC) utilizing phenylphosphinic acid as the carbon-source/catalyst and sodium sulfate as the sulfur-precursor/salt template, in which the sulfur mainly exists in the forms of C–S–C and C–S–S–C. Notably, most of the bridge bonds are electrochemically cleaved when the cycling voltage is lower than 0.6 V versus Na/Na+, leading to the appearance of two visible redox peaks in the following cyclic voltammogram (CV) tests. The in-situ and ex-situ characterizations demonstrate that S2− is formed in the reduction process and the carbon skeleton is concomitantly and irreversibly isomerized. Thus, the cleaved sulfur and isomerized carbon could jointly contribute to the sodium storage in 0.01–3.0 V. In a Na-S battery system, the activated HCSC in cut off voltage window of 0.6–2.8 V achieves a high reversible capacity (770 mA h g−1 at 300 mA g−1). This insight reveals the charge storage mechanism of sulfur-carbon bridged hybrid and provides an improved enlightenment on the interfacial chemistry of electrode materials. Tianjing Wu received his Master degree from Henan University in 2016. He is currently working toward a PhD degree in Central South University and his current research focuses on the energy storage materials and devices. Xiaobo Ji is a “Shenghua” Professor at Central South University and a Fellow of the Royal Society of Chemistry, specializing in the research and development of batteries and supercapacitor materials and their systems. He received his PhD degree in electrochemistry in 2007 under the supervision of Prof. Richard Compton at the University of Oxford and undertook postdoctoral work at MIT with Prof. Donald Sadoway. 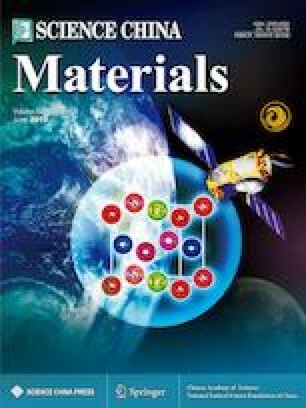 Supplementary material is available for this article at https://doi.org/10.1007/s40843-019-9418-8 and is accessible for authorized users. 共价硫碳材料优异的储能性能逐渐引起人们的极大关注, 然 而, 在电化学钠储存过程中, 化学键的演变机制尚不清楚. 本文以苯 基磷酸作为碳源和催化剂, 硫酸钠为硫源和模板, 通过高温热处理, 成功制备了具有大量共价键的硫碳材料(HCSC), 其中硫主要以C–S–C和C–S–S–C的短链形式存在. 值得注意的是, 在储钠过程中, 当 循环电压低于0.6 V时, 大多数桥键会发生电化学裂解, 导致在接下 来的CV测试中出现了两个可见的氧化还原峰. 原位和非原位测试 表明, 在还原过程中形成了S2−, 同时碳骨架也发生了不可逆的异构 化. 因此, 在接下来的循环过程中(0.01–3.0 V), 裂解硫和异构化碳 可以共同参与钠的存储. 同样, 应用于Na-S电池系统中, 电压窗口 为0.6–2.8 V, 在宽电压窗口活化的HCSC也表现出较高的可逆容量 (770 mA h g−1 at 300 mA g−1). 这一发现揭示了硫碳桥联化合物的 储能机理, 也为其他电极材料的表界面化学提供了新的启示. This work was supported by the National Key Research and Development Program of China (2017YFB0102003 and 2018YFB0104204), the National Natural Science Foundation of China (51622406, 21673298 and 21473258), Young Elite Scientists Sponsorship Program By CAST (2017QNRC001), the Project of Innovation Driven Plan in Central South (2017CX004 and 2018CX005), and the Program for Innovative Team (in Science and Technology) in the University of Henan Province of China (17IRTSTHN003). This work was carried out in part using hardware and/or software provided by Tianhe II super computer in the National Supercomputing Center in Guangzhou, and the High-Performance Computing Centers of Central South University and Nanjing University.